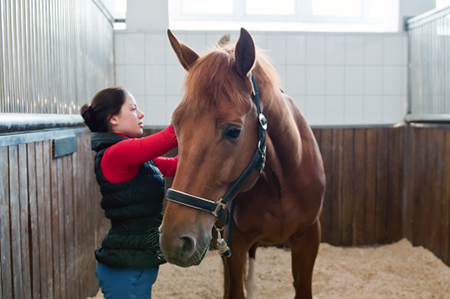 Veterinary Science students at the University of Liverpool are set to benefit from a new scheme that will offer 10 work experience placements in horse racing industries. 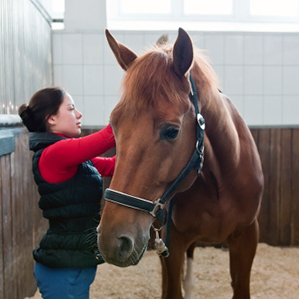 The British Horse Racing Grant Scheme will provide students in their early years of a Veterinary Science degree at Liverpool with a travel bursary to take part in industry placements at stud farms and training yards to help develop closer links between vets, researchers, and industry. It aims to give students the skills and specialist knowledge to apply for jobs in industry once they graduate and further support the expansion of Cheshire horse racing. The scheme, supported by Cheshire West and Chester Council and the Horserace Betting Levy Board, will integrate with national initiatives such as the British Horseracing Authority’s Careers in Racing programme. Other key partners in the scheme include the University of Chester, Reaseheath College, Chester Racecourse Company, and local stables including Manor House Stables represented by Deva Racing.